Few abilities will serve your marketing goals better than being able to wield influence. This doesn’t just refer to moving leads through your funnel, though. Influence is also a powerful tool for moving people from passivity to partnership. Grow your influence and you will also grow a network of people who can help you build your brand, find new leads, explore opportunities, and much more. One of the reasons influence is such a powerful force is because it usually takes so much time to build. Nether tends to come overnight. Fortunately, at BuzzSumo, we know a thing or two about building influence. Here are the six essential steps you must master in order to become influential. The first step is simple: whom do you wish to influence? Fortunately, you probably already know the answer because it’s the people who make up your market. Which social media channel do they like most? Which blogs do they follow? Which conference speakers do they line up to hear? You don’t want to spend all of your valuable time posting on Instagram when it turns out your market is spending all of theirs on YouTube. Nor do you want to get a coveted guest post spot at the wrong blog. Another good place to look for inspiration is the current influencers in your market. What go-to posts seem to be grabbing their attention? 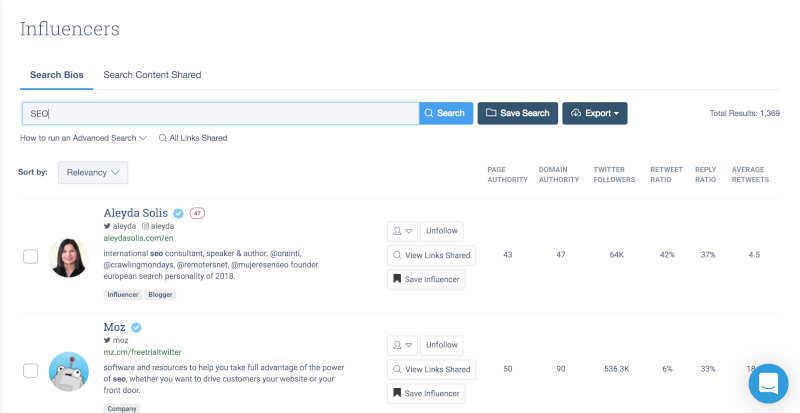 If you want help to discover influencers, try our Influencer Search. You can search any industry to see who has the biggest following. Then, start studying the influencers’ posts to see what works best. Even after you’ve done your research, it’s usually a good idea to experiment a bit with what your market likes most. You may find an opportunity those other influencers missed. Regularly check your analytics to see how much progress you’re making. Engagement is great, but it’s not the same as growing your influence. That requires authentic engagement, as well. Do your best to respond to everyone who comments on your posts. But here’s the thing: your response has to be thoughtful, not generic. Ideally, it should be helpful, as well. Saying “thanks” is great, but if you can also give the commenter actionable advice that will somehow improve their life or business, you’ve made an authentic connection. Marketing rockstars Andrew and Pete made this point well when I chatted with them at a recent conference. If someone came up to you in public and told you how much they admired your work, Andrew says. You wouldn’t just give them a thumbs up and walk away, Pete says. Ouch. We need to follow the same etiquette in our digital interactions. As hard as this may be to believe, you might even receive some negative comments every now and then. A couple might be downright nasty. If you think you can engage the person in a productive conversation, give it a shot. Otherwise, it’s best to move on. Building a loyal following is a two-way street in terms of communication. If all you do is post and wait for comments, you could still become influential, but it’s probably going to take an extremely long time. Instead, comment on other people’s posts, especially those with whom you’d like to partner someday. While your comments need to be relevant, they can take on many forms. You can add your two cents, ask a question, share posts that you think they’d find interesting (don’t only share your own, though), or even take a stab at humor. The important thing is that you continuously make positive impressions, both by posting to your own account and commenting on others’. When your analytics tell you that you’re clearly building social-media momentum and your level of influence is rising, it’s going to become time to start prospecting would-be partners. Don’t expect them to come to you and don’t assume the incentive for partnering-up will be obvious. In 1984, social psychologist Robert Cialdini wrote what many people still believe to be the seminal text on influence, the aptly named, Influence. Among other things, he discovered what may be the most powerful word in all of persuasion: because. So, even though you’ve invested a lot of time and energy into those last four steps, don’t forget to provide a “because” – a compelling reason – for people to become partners. Remember: “partnership” means both of you should stand to gain something. Make sure they know the benefit of moving from passivity into becoming your partner. And, make their part of the arrangement valuable. Offer something of value — free access to your platform, access to your audience, promotion of their content. Be creative! And even if your end goal is to be able to move the masses, don’t be afraid to reach out directly to any potential partners you’ve already engaged with through social media. Research shows that just 20% of marketers have used these apps for marketing purposes. Do you have a long line of people who can’t wait to partner up? 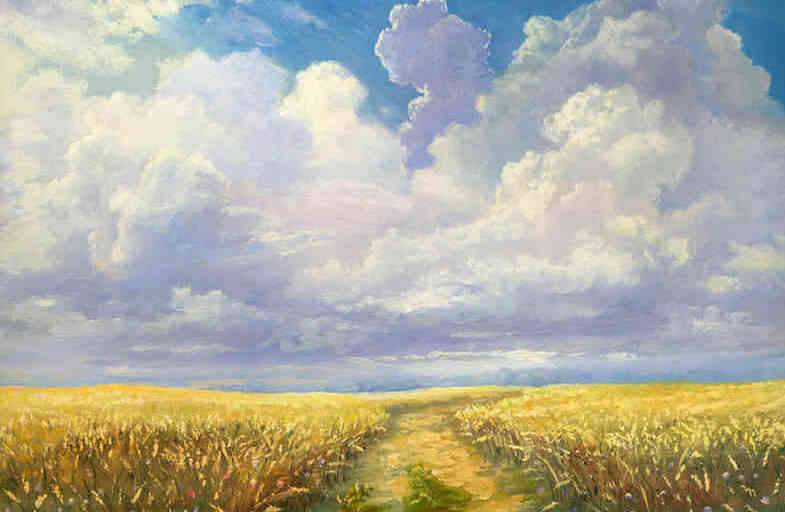 No matter what your result, take time to reflect on which efforts paid off and which didn’t have their intended effect. Like all things, becoming influential will take practice. As I mentioned at the beginning, building influence takes time, too. However, any success is also another opportunity to attract new partnerships through social proof (even user-generated content can be great for this). Show off the new allies you’ve won, grab attention by doing so, and you’re ready to get started back on step #3. Good things may come to those who wait, but something as powerful as influence is earned by those who work hard, over and over. Get started today and, little by little, you’ll find more members of your market paying attention to what you have to say.